These composite croquet balls will make excellent replacements for your croquet set. 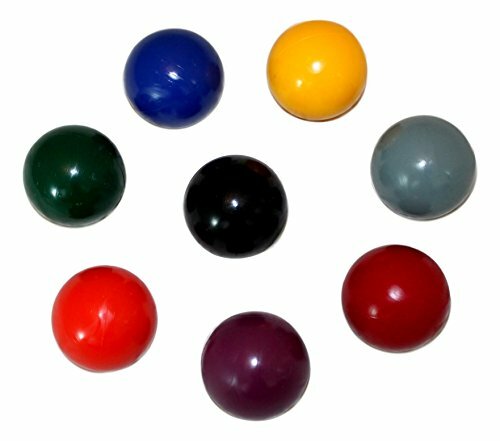 Includes a set of 8 croquet balls (one each of red, black, blue, yellow, orange, green, gray, and purple). The durable croquet balls are made in the USA and are guaranteed not to break. Each croquet ball measures 3 5/16" in diameter and weighs 10.4 oz. Set of Eight Replacement Croquet Balls. One Each of Red, Black, Blue, Yellow, Orange, Green, Gray, and Purple Balls.